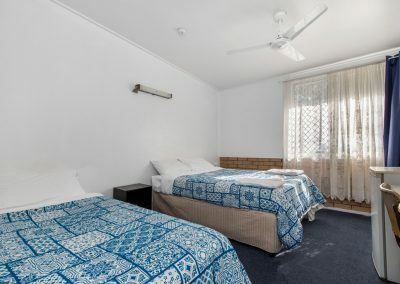 Family, Twin, Queen, Double and Single Rooms available. 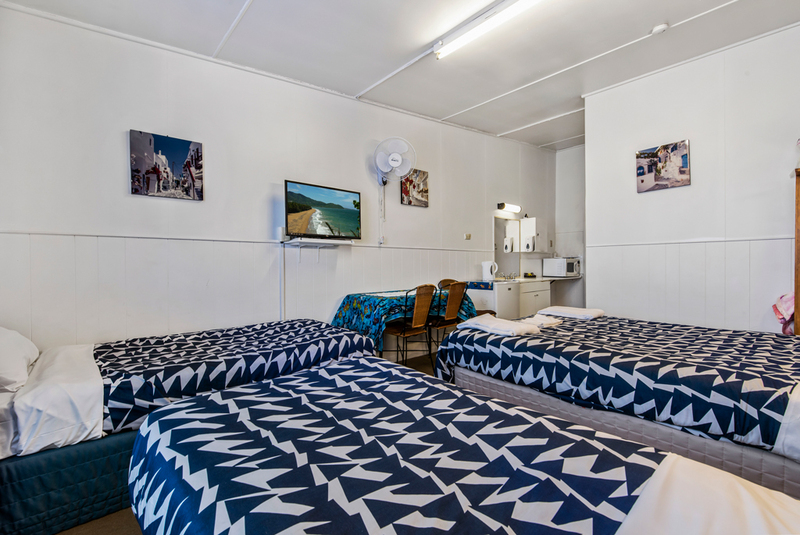 All rooms include reverse cycle air conditioning, satellite TV, tea/coffee making facilities, microwave, toaster, and a bar fridge. 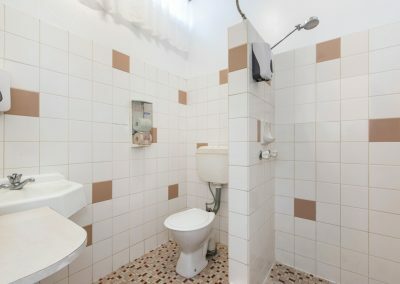 The ensuite bathroom has a shower and a toilet. 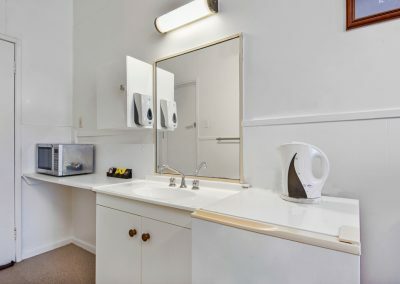 The property has self-service laundry facilities. Guests can request for breakfast and dinner to be served in the comfort of their own rooms. 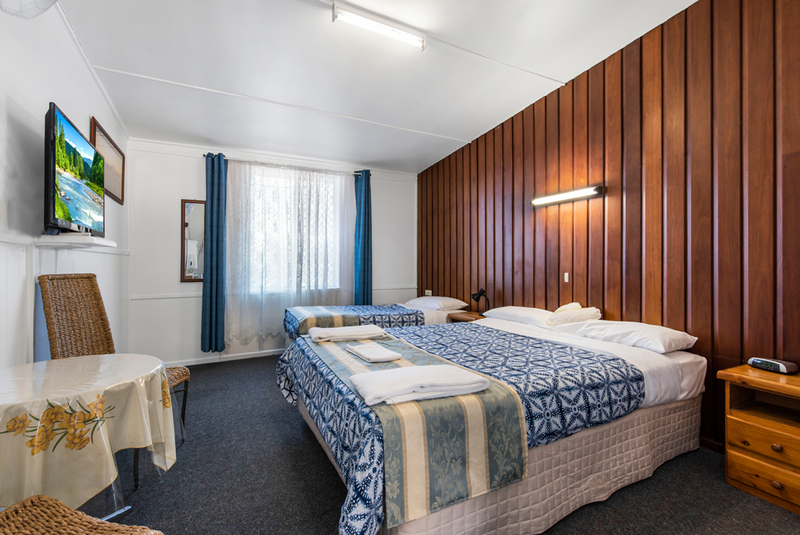 Along with friendly hospitality, the staff from Nationwide Motel offer undercover parking, in-room meals, and a beautifully maintained in-ground saltwater pool. 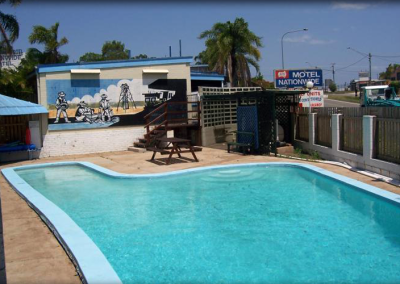 There is street parking for longer vehicles available behind the motel. 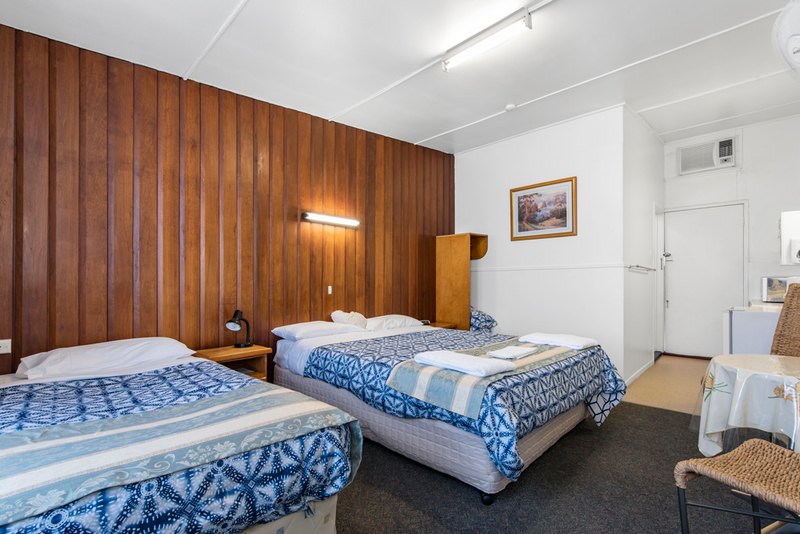 We are a family owned and run business with 18 clean, comfortable and affordable rooms available. 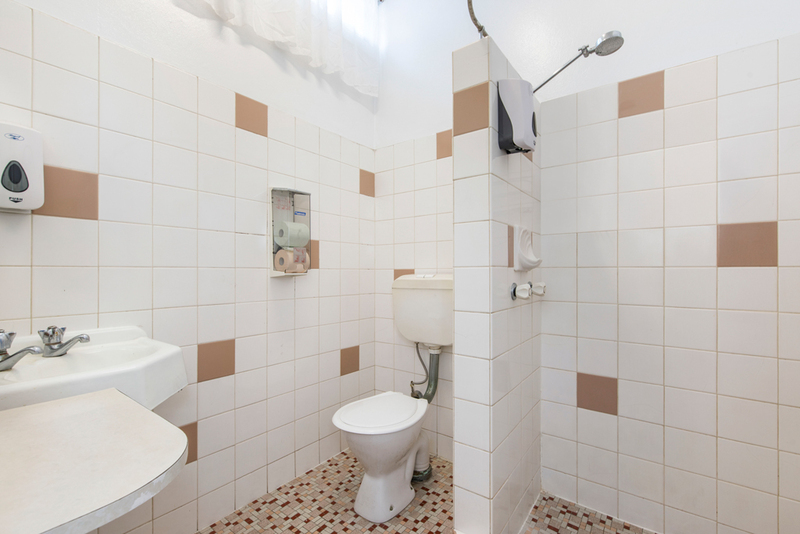 All rooms located on the ground floor for easy access. We have undercover parking in front of the room and large trailer and caravan parking available in Chatsworth Road. Sue and Paul are on-site managers which means better service for their guests and late check-ins available although we do charge a 10% surcharge after 9pm. 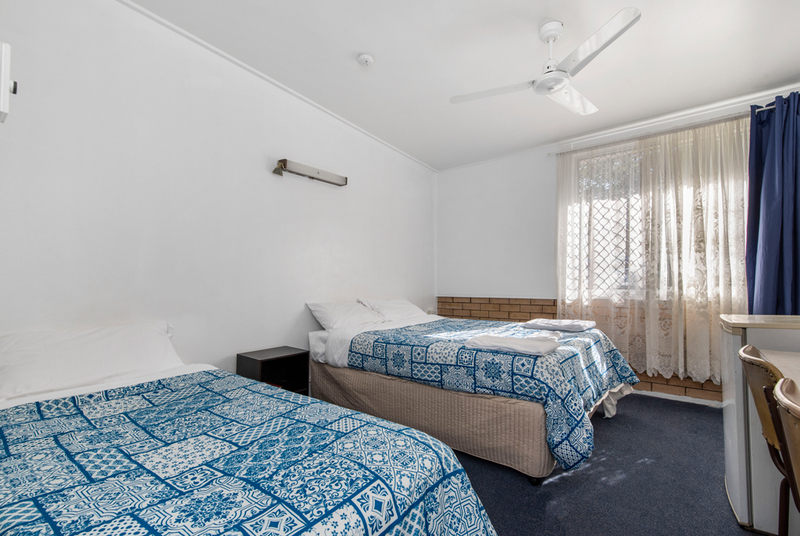 We have a variety of rooms to suit your needs and your budget. 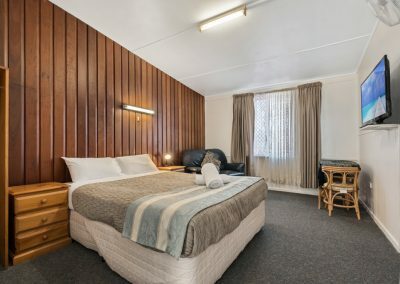 The Room has a queen size bed and a king single bed, tables & chairs, wall mounted TV, DVD player, separate bathroom & parking in front of the room. 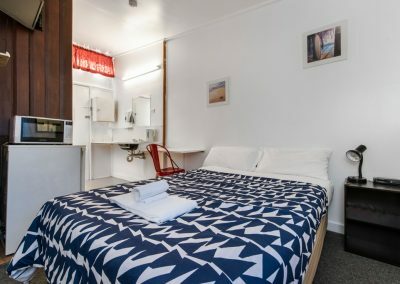 Our rooms are clean, with soft comfy beds, fluffy pillows, roomy showers with lashings of hot water and nice tall shower heads, so there is no need to scrunch down to get wet. 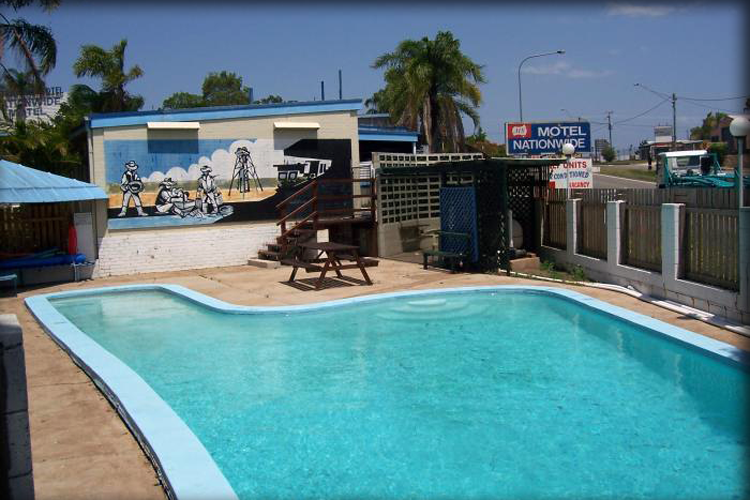 We have a beautiful in-ground saltwater pool, a guest laundry and home cooked meals brought to your room upon request. The rooms have limited space between the beds as we have tried to accommodate extra sleeping facilities for a family, without compromising on a comfortable bed. 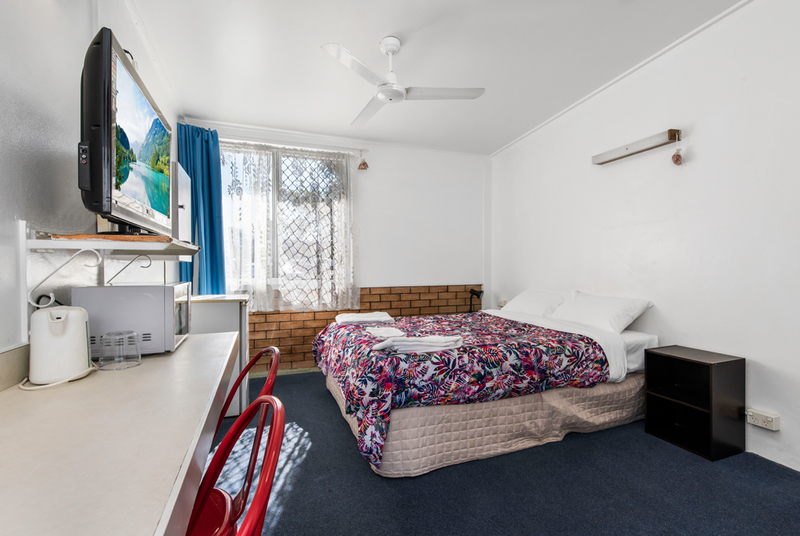 The Room has a Double Bed, Wall Mounted TV Unit, separate bathroom and parking in front of the room. This is a smaller room than the Queen Room and is for single occupancy only. 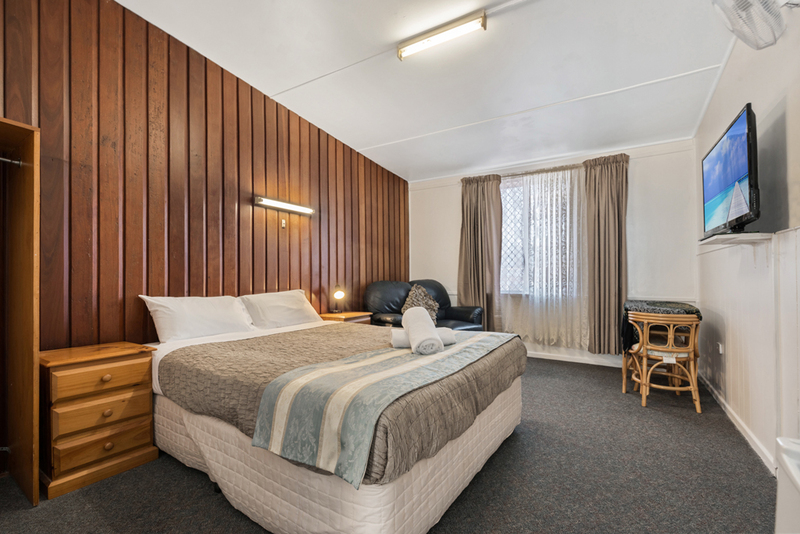 The Room has a Double Bed, Wall Mounted TV Unit, separate bathroom and parking in front of the room. 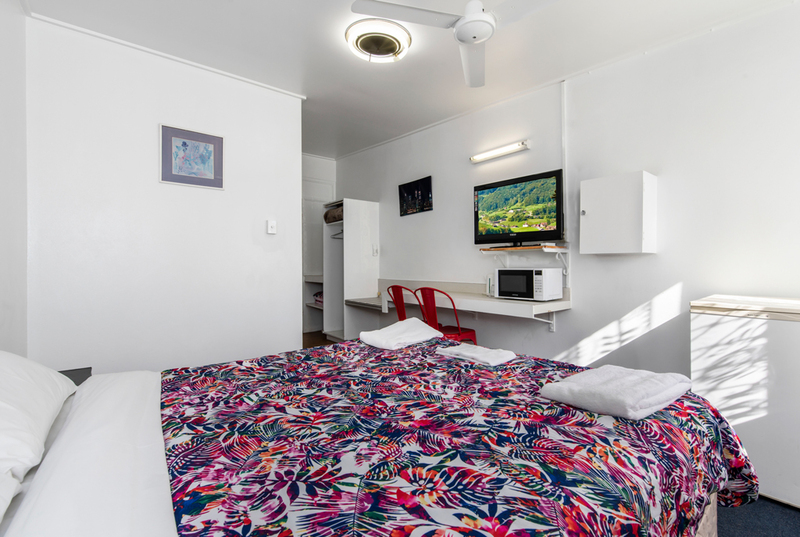 This is a smaller room than the Standard Double Room and is for single occupancy only. We offer a choice of continental breakfast or full cooked breakfast. Must pre order the afternoon before or when booking. 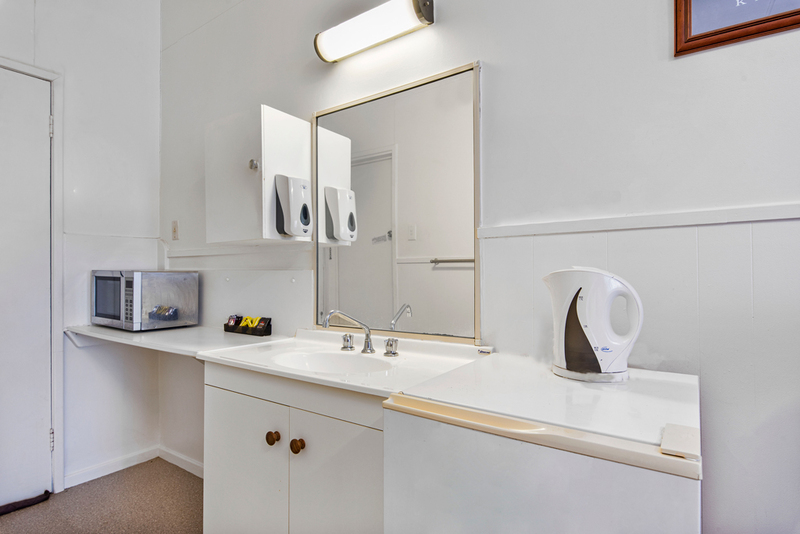 Each room contains a Tea and Coffee making facilities. We also have bottled water and cans of soft drink available for purchase from reception. We can arrange for an evening meal to be served to your room upon request. Alternatively there are a few local restaurants that offer a delivery service most nights. Inquire at reception. 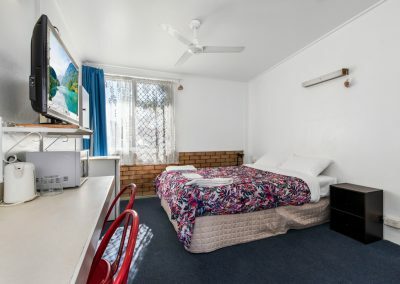 Extremely comfortable bed and very clean and tidy room. 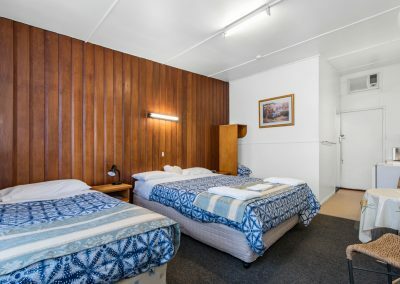 An older motel with good old fashioned pleasant service. Best value for money I’ve had in a long time, and more comfortable than a lot of 5 star places I have stayed in. Microwave in most rooms plus a communal one available in the laundry. 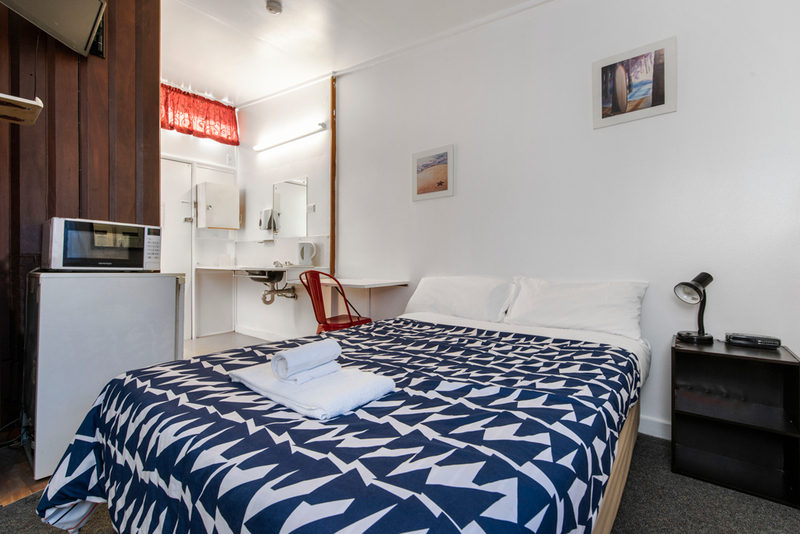 We have a laundry available for guests use, with a washing machine, clothes dryer, iron & ironing board. In ground Salt Water Pool and B.B.Q Area available for guest use. Wall mounted TV units with FREE Austar in all Rooms. DVD players in Twin Rooms. 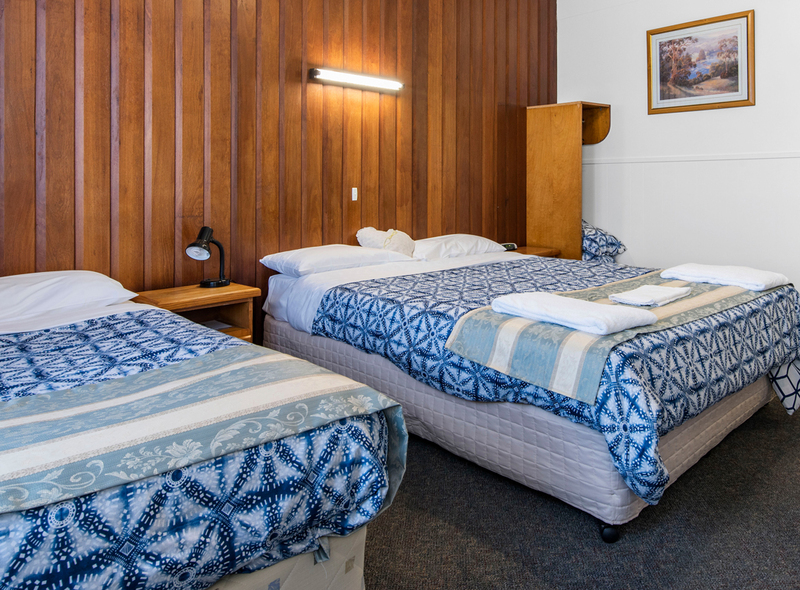 All rooms are air conditioned for guest comfort. All rooms have a bar fridge, tea & coffee making facilities and a toaster. Check in is from 2pm each day and check out at 10am. We do have late check available up until 9pm. We require 48 hours notice for all cancellations. A small booking fee will be deducted. During school holidays and peak periods we require 7 days notice. No smoking in any of the rooms or in communal areas. We have a designated smoking area. Noise to be kept to a minimum after 9pm and before 7am. Inground pool available for guests during the hours of 8am – 8pm. No glass to be taken into the pool area.